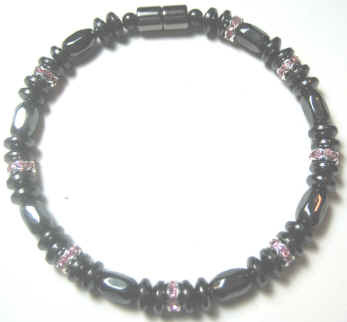 Swarovski Crystal adds a sparkle to the magnetic bracelet to enhance its attractiveness. 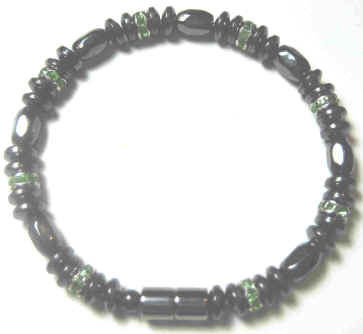 Available in bracelets, anklets and necklaces. 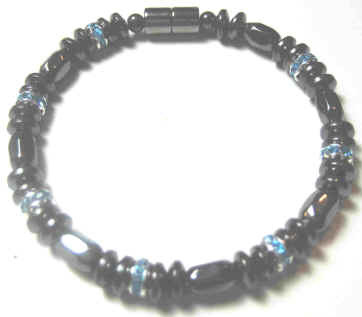 The magnetite beads and clasp are magnetic but the Swarovski crystal is not magnetic. 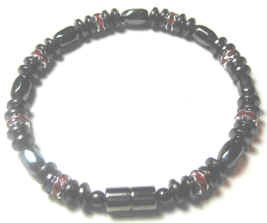 6 1/2 7" 7 1/2" 8" 8 1/2"
18" 19" 20"" 21" 22"
Include the cost of the necklace and the $6.00 shipping & Handling.